Are you thinking about taking a family vacation to Grenada? Every family needs a vacation, where you can be together and make up for the time you are apart, not connecting in a busy life with work, school, and other commitments. 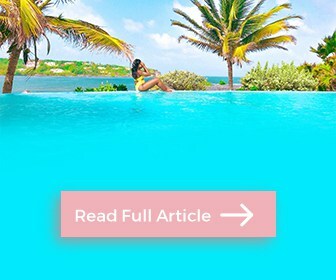 If you are looking for a fantastic, unforgettable getaway during the summer or during the winter months, you will be amazed by taking a family trip to Grenada. The island of Grenada is a beautiful small island located in the turquoise, blue waters of the south of the Caribbean. 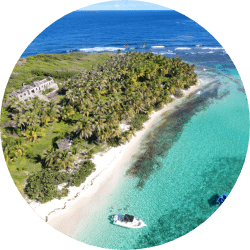 It provides you with amazing beaches, a deep rain-forest worth exploring, waterfalls worth jumping from and a powerful Caribbean culture worth knowing. 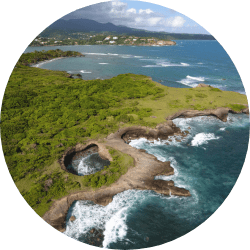 The best thing about planning a family trip to Grenada is the fact is an easy trip from the most easily accessible airports around the world. If you want to enjoy the winter with your family just take a week off to enjoy the family company, Grenada is one of the best places for a family vacation. The 473’s Concierge team, has all the elements you need to start planning your vacation. 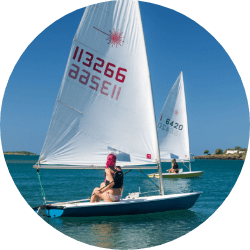 As part of our efforts to make your traveling experience as smooth as possible, here at 473 Grenada Boutique Resort, we have prepared a list of our top 3 family activities to do in Grenada during your next vacation. If you have any questions on any of our top picks or would like to find out more information about the resort, Please send us an email or call us, we would love to help you plan a trip and get that deserved family holiday to remember. The island of Grenada is located in one of the most amazing spots in the Caribbean. The island of Grenada is nearby the Tobago Cays giving it unique turquoise waters, ocean breezes, cool and relaxing experiences. Most importantly, just a few miles away, you can enjoy the best show Mother Nature has to offer, starring majestic Dolphins and Whales. If you have never experienced them before in their natural habitat, you are on for an adventure you and your loved ones will always remember. Imagine going onto a stable ocean catamaran, feeling the sea breeze as you sail towards the open Caribbean Sea. As you look into the water, you see those amazing, extrovert dolphins starting to jump out of the water, playing under the bow waves, while performing a show for your and the other spectators. It is as if they know your family came to see a show. If your family vacation in Grenada is between the months of December to April, your family will get to see the 5 species of whales that swim through our Grenadian waters between the months of December to April. This tour takes a half a day, as it takes a bit of sailing before it arrives at the right spot. 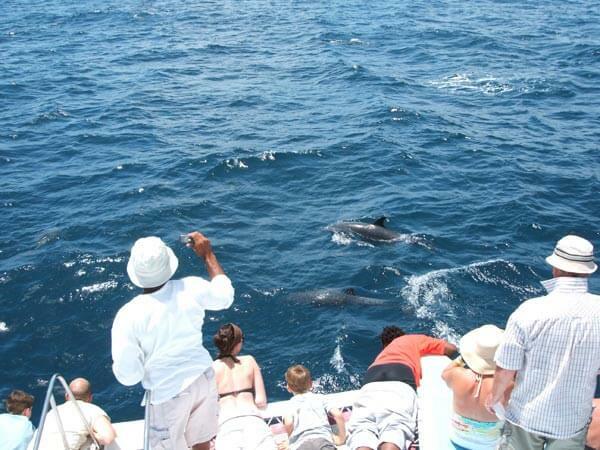 Luckily for you, the dolphins watching tours are available in Grenada ALL YEAR LONG!. Once you are ready to do your booking to stay at 473 Grenada Boutique Resort, you can let our concierge team know that you are interested in the Whales and Dolphin tour in Grenada and we will help you get every organized for you right away. Explore the island and dive into the Caribbean rainforest. There is a lot to choose from in Grenada. If your family is the kind that enjoys the beach, sunbathing and relaxing to the beautiful sound of the beach, you have many wonderful choices that are at the resort or just 10 to 15 minutes drive from the resort you will find the beautiful Grand Anse beach. The other resort’s amenities give you amazing spaces to relax, enjoy a pool day bathing under the sun rays. If your family loves to explore, Grenada gives you the best of the Caribbean sea, as well as, the beautiful natural Grenadian rainforest. Full of Different species of animals making different sounds, as well as, the sound of the water as it falls from the beautiful waterfalls that you will find around the island. Ever heard about the famous Mona monkey at Grand Etang lake? 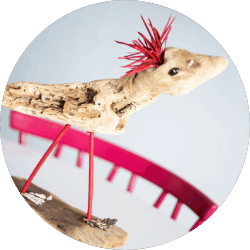 These hilarious monkeys will let you pet them and even pull a joke or two on you. Of course, they are being held by professionals so you have nothing to worry about. At times, you will be able to experience this nature show just outside of the lake, or as you enter the road to the lake. Hence our quote ‘For those who want to stay and those who want to explore’ We want to make your stay as great as possible. As you drive through the island you notice a change in the weather. Around the 473 resort, it is warm and beach-ready weather, but as you drive through the rainforest the temperatures can drop as you will be climbing to 2376ft above sea level to reach the Grand Etang Lake. 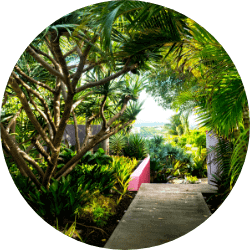 To get here is quite easy, but as always our concierge team is here to guide you in case you choose to drive and explore the most out of the island. 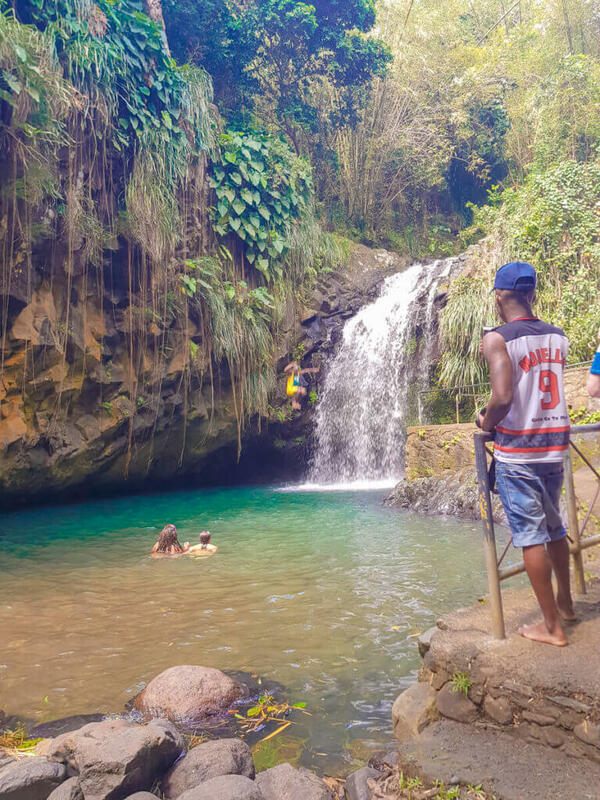 We also recommend our trusted tour guides, as they will be able to explain to you the rich history of the island, take you to the waterfalls and to the best places where your family can grab a meal before you continue to explore the beautiful island of Grenada. 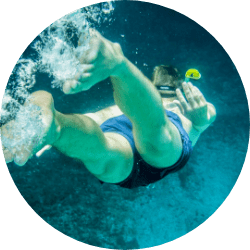 473 resort amenities provide our guest with Kayaks and other water sports equipment that can be enjoyed just a few steps away from our Waterfront villas. So if you are not up for some water adventures, you can enjoy looking at your family from the villa’s living spaces just at the water’s edge. The resort has two calm beaches that can be accessed through the resort itself. The beach here is calm and relaxing, you can hear the light waves near the resort, as well as, those further down as they break with the outer protective sea reefs. 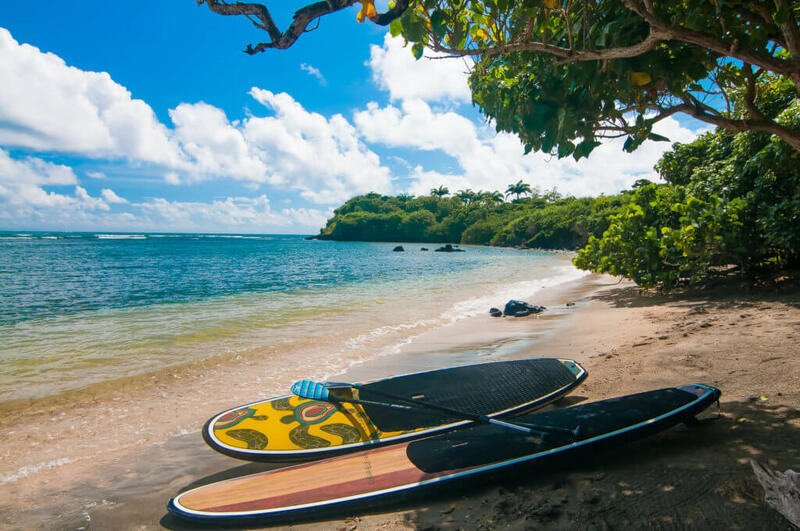 This beach is great for family activities such as kayaking and paddle boarding. The waters are calmed and shallow until you reach the reef making it safe and calm for any water sports activities in Grenada. 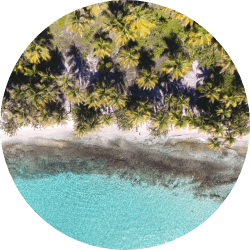 If you are experienced and want to go into a deeper adventure, you can enjoy the inner harbor and mangrove areas, seeing manta rays, fishes and the sea life in the rivers and trees. The beaches that surround the resort in Grenada are so wonderful, at times it looks like a painting. This makes it amazing to enjoy a Kayaking experience around the beach and bay that is nearby the resort. With our eats and treat packages, you can always fill your cooler with your favorite drinks and treats and head down to our infinity pool. 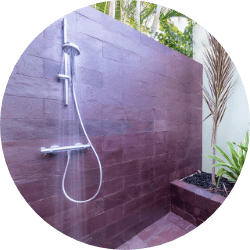 We have made sure to pack the villas with everything you will need to make your stay with us perfect. We also have created a variety of Food and Drinks packages that allow you to choose between three different drink packages, as well as, three different food packages. But if there is anything you think is missing, our team can ensure to make it available for your family right away. What are some of the top activities you enjoy doing with your family? Will you go to explore the island of Grenada? Enjoy a relaxing pool and beach day around the resort? Book a Dolphin Watching Experience? Or all of the above? 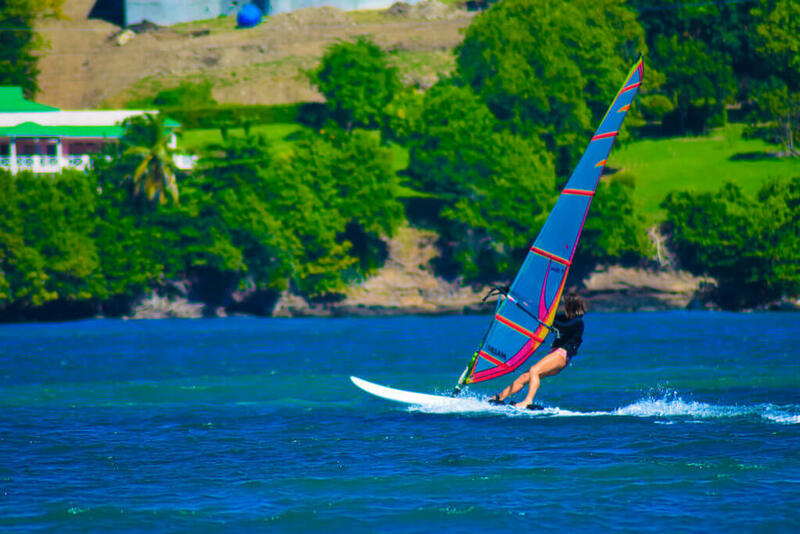 There are tons of things to do in Grenada, we have just named our top 3 family activities to do in Grenada for your next vacation. 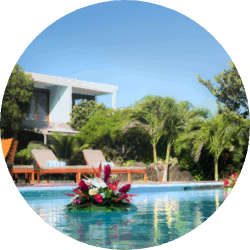 Our concierge team knows the island and can guide you towards the best adventure.